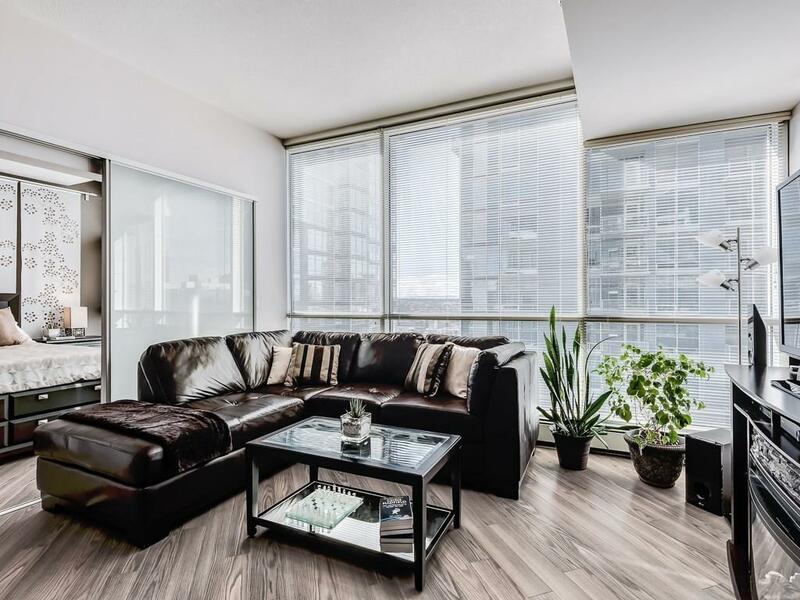 Welcome to this amazing west facing 2 bedroom unit in Colours by Battistella with views of downtown Calgary and a location that can't be beat. 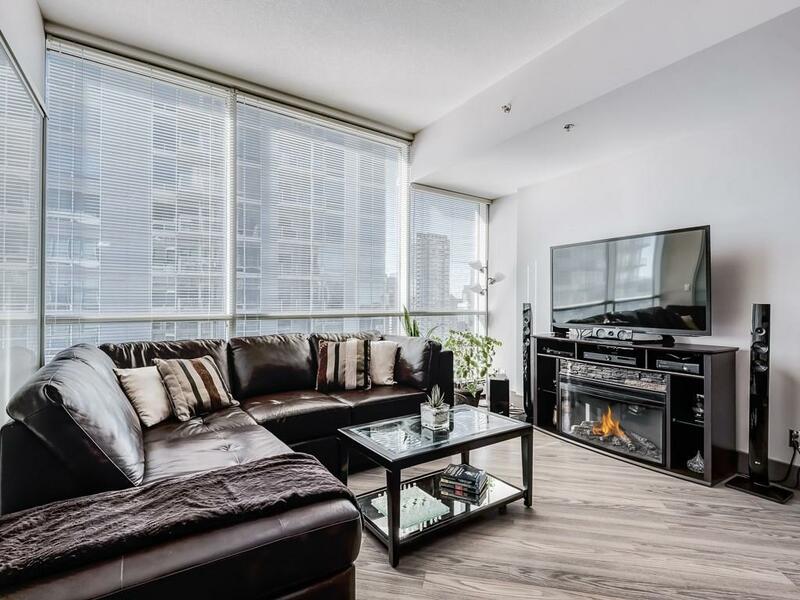 Fabulously located close to C-train, concert halls, library, Stampede Grounds, The Saddledome, professional services and some of Calgarys best restaurants + cafs all within short walking distance. 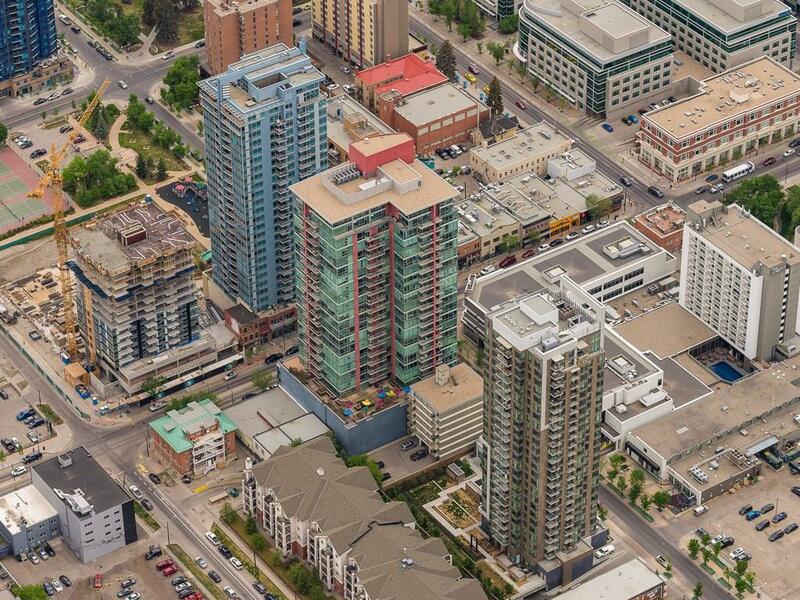 With a Walkscore of 96, enjoy the best of the urban lifestyle Calgary has to offer! The large kitchen boasts stainless steel appliances and granite counter tops perfect for the gourmet chef and entertaining friends/family. 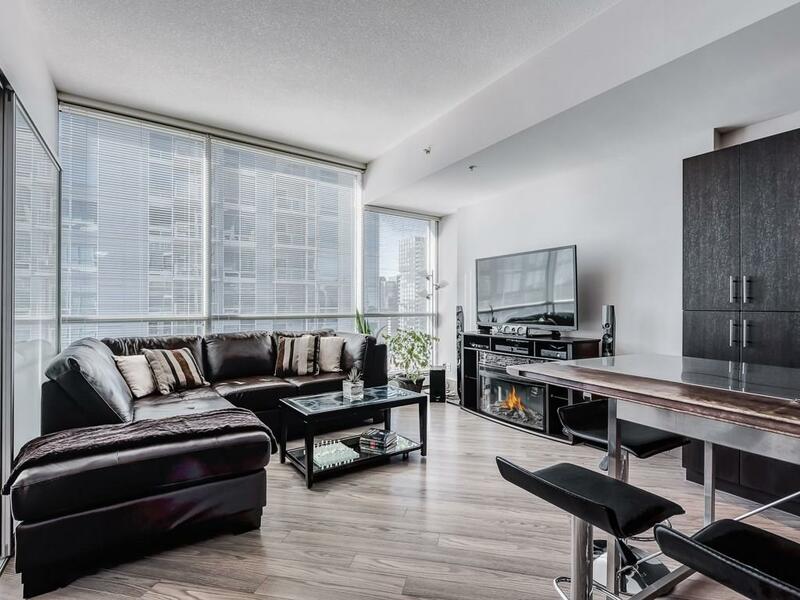 Your open living room/dining room are complemented by floor to ceiling windows and flooded with sun light! An elegantly frosted glass sliding partition creates separation for the master bedroom and ensures optimal open concept living. Also note the included titled parking stall, insuite laundry,central air conditioning, and bike storage.